Lawmakers gave first-round approval Feb. 1 to a bill that would amend state law related to insurance producers. 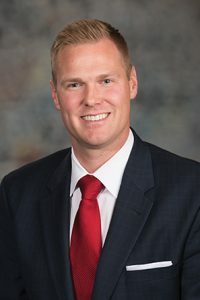 Omaha Sen. Brett Lindstrom said he introduced LB743 on behalf of the state Department of Insurance to update and modernize state law related to insurance producers in three important ways. The bill would remove a requirement that paper certificates be issued for completion of insurance producer continuing-education activities and limit the approval of continuing-education activities to four years. The bill also would eliminate a pre-licensing requirement for insurance producers. Lindstrom said the current requirements either are obsolete, cause confusion for insurance producers or have been deemed unnecessary. The bill also would create regulations for public adjusters—individuals who provide compensated assistance to an insured in the filing and settlement of a property claim against an insurer—through adoption of the National Association of Insurance Commissioners model law. Lindstrom said the NAIC is the U.S. standard-setting and regulatory support organization created and governed by insurance regulators from all 50 states and the District of Columbia. Currently, public adjusters are licensed as insurance consultants in Nebraska, he said. “Adoption of the NAIC model act would add an array of consumer protections to our law,” he said. • prohibit an individual from acting as a public adjuster without being licensed in accordance with the act, misrepresenting that they work for an insurer or entering an agreement to repair property that the adjuster was engaged to adjust. Seward Sen. Mark Kolterman offered an amendment, adopted 32-0, that removed a cap in the bill. As introduced, LB743 would allow a public adjuster to charge the insured a “reasonable fee” equal to or less than 15 percent of any insurance settlement or proceeds. “I feel that by putting a cap on [this] that we’re hurting our consumers to a certain extent on the smaller claims,” Kolterman said, noting that most of the claims for which a public adjuster is used are between $2,000 and $7,000. 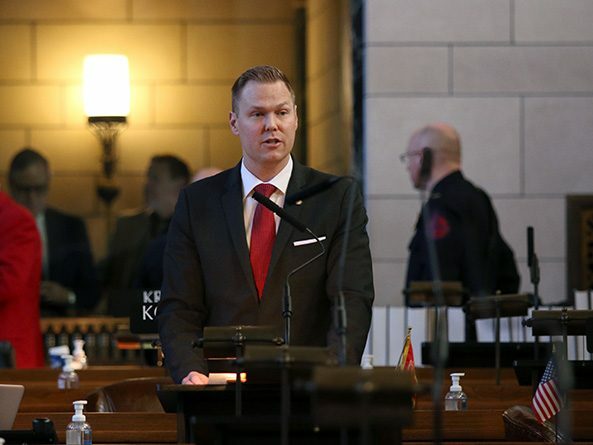 Capping the fee could limit the number of public adjusters who are willing to come to Nebraska, he said, and removing the cap instead would allow the free market to determine those fees. Following adoption of the Kolterman amendment, the bill advanced to select file on a 36-0 vote.